Booked: The lead in the upcoming short film, BASE CAMP. 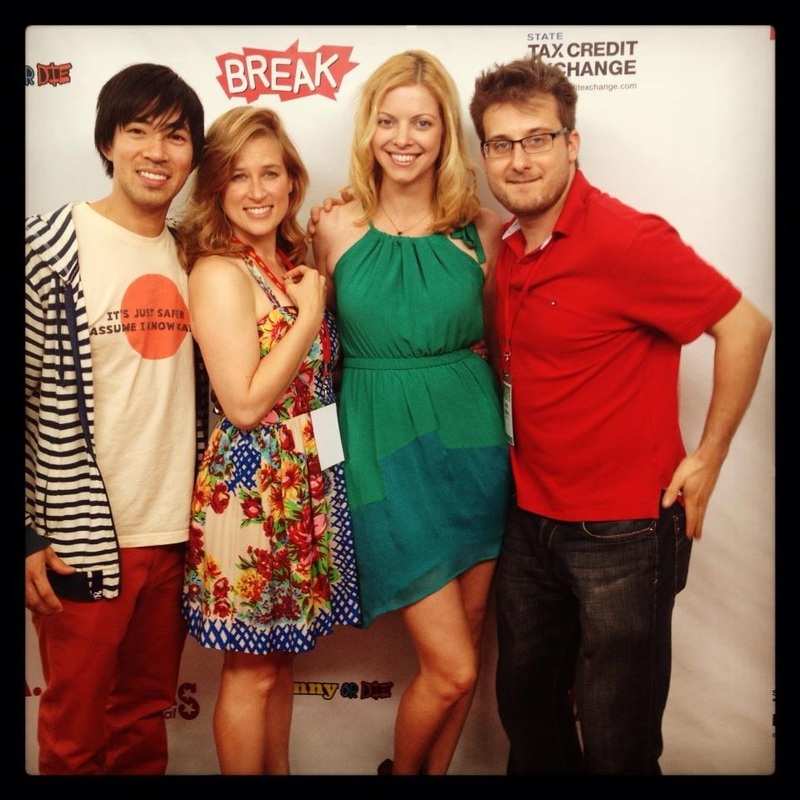 Jenn spent a week in Detroit working with the very talented team from the award winning BREAK MY BONES short film. Can't wait to see what happens with this project! Booked: Industrial for ULTA and a commercial for Sears clothing! 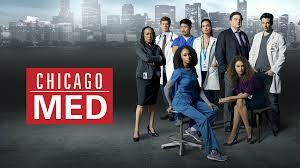 CHICAGO MED "Win Loss" Airs Thursday Sept. 29 on NBC 8pm CST. Jennefer plays one of two mothers with gravely ill babies. BOOKED SEPTEMBER 2016: A print ad for Kmart featuring their fall line of outerwear. BOOKED SEPTEMBER 2016: A commercial for Northwestern Medicine. BOOKED AUGUST 2016: Jenn just wrapped shooting a guest star role on CHICAGO MED, Episode "Win Loss". IN AN INSTANT airing June 19, 2016 at 8pm CST. Jenn plays Athena Delgado in this emotional story that followers several survivors of the 2013 Moore OK tornado. BOOKED: April 2016, another voice over demo spot for Quaker Oats! Jenn was hit by a car while crossing the street at an intersection in downtown Indianapolis October 10, 2015. After 6 months recovery and rehabbing from a concussion and surgery...she's BACK! BOOKED April 2016: A voice over demo for Keebler! BOOKED: August 2015. 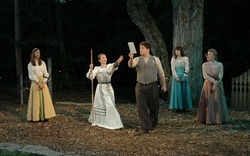 Jenn guest stars on the Season Two opener of IN AN INSTANT. Her episode chronicles the devastating tornado that hit Moore, Oklahoma in 2013. Watch for the premiere on ABC next summer! Jennefer recently joined the fantastic roster at Gray Talent Group and is excited to start her new life in Chicago with her husband and baby boy on the way! This summer Jennefer plays Regan in KING LEAR directed by Guthrie legend Richard Ooms, and the Courtesan in COMEDY OF ERRORS directed by Milwaukee's up and coming Leda Hoffman at Door Shakespeare in Door Co, WI. Fantastic reviews are coming in! Jennefer appears September 18, 2013 on Comedy Central as an overprotective mom in the opening sketch for the third season premiere episode of this genius series. The AV club wrote a great article about it here. Jennefer stars as Rosaline in Love's Labour's Lost and Lady MacDuff in Macbeth. 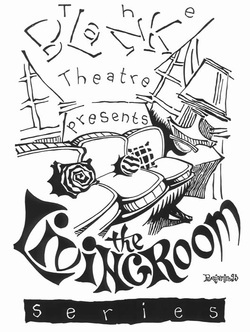 Running July 5- August 17, 2013. Check out this wonderful review in the Milwaukee Journal here. 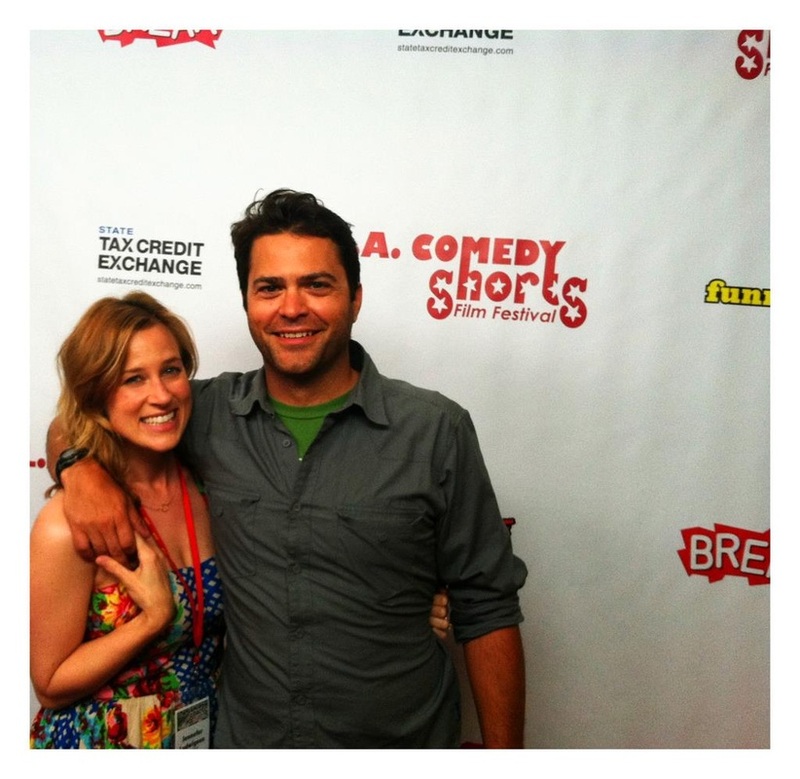 LEGITIMATE Headed to the LA Comedy Shorts Fest! The L.A. 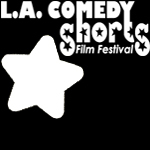 Comedy Shorts Film Festival, currently the largest comedy film festival in the U.S., is a four-day, non-stop celebration of comedic short films with screenings, industry panels and a red-carpet awards event. LACS was named one of Moviemaker Magazine's “25 Festivals Worth the Entry Fee” in both 2009 and 2011, and was honored as one of the "Top Ten Film Festivals in the U.S." by the Brooks Institute. Co-founded by Boston Legal's Gary Anthony Williams, L.A. Comedy Shorts attracts heavyweights from the world of comedy, including Will Ferrell and Judd Apatow’s 'FunnyOrDie.com’, a major sponsor of the festival. Past celebrity participants have included Mark Hamill, Jane Lynch, Sean Astin, Adam Carolla, Julie Bowen, Bob Odenkirk, Bobcat Goldthwait, and many others. Airdate Wednesday April 3, 2013. Jennefer appears as victim Vanessa Barnes. This little political film just keeps getting buzz, long after Todd Akin's remarks. 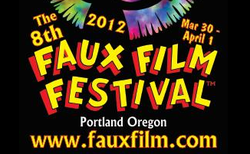 The film will be screening at the Faux Film Festival in Portland, OR at 7pm on Saturday March 30 at the Clinton Street Theatre. Jennfer will be reading a written (true story) at this inagural event hosted by her alma mater, Northwestern. 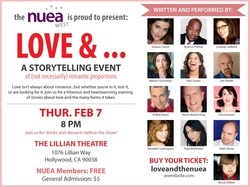 Drinks, dessert, and stories of love...all for $5 at the Lillian Theatre at 8pm. For tickets, click here. Jenn's first short film as writer/producer/actress will be screening Saturday December 8 at 2pm with the Shorts Block #2. From the LAIUFF website: "The Los Angeles International Underground Film Festival celebrates the the efforts and accomplishments of true underground artists from around the world. Filmmakers, writers, etc... who capitalize on their creative intuition to create memorable and inspiring pieces of work when major budgets do_ not exist." For more information about the festival and tickets, please click here. Jennefer will once again be reading a written (true) story at this incredible venue. This month's theme: "Trapped"
Visit sparkoffrose.com for more info. 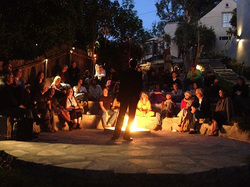 KCRW's Strangers Live Storytelling Event 9/15/12 SOLD OUT! 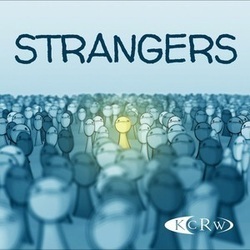 Lea Thau directs this storytelling show celebrating her project for KCRW public radio called "Strangers ". Jennefer will join actor Stephen Tobolowsky, former L.A District Attorney Gil Garcetti, longtime improv queen of The Moth Mainstage in New York, Shelagh Ratner, and South African architect Tony Unruh, for a night of true stories. Hosted by actress and comedienne Lauren Weedman. 8pm at the Silverlake Bowl. Jennefer leads the cast of Vine-land in this reading of Andy Hyman's new play, directed by Kirsten Sanderson. Click here for more information and to reserve a seat. about Todd Akin and how EXACTLY the female reproductive system goes about "shutting the whole thing down". LEGITIMATE can be seen trending here on funnyordie.com. FYI, this film is rated R for language. on the feature film 616 Paranormal Incident. 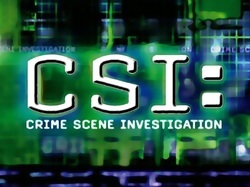 Jennefer plays Detective Decker. Jenn is understudying the role of Sue in this new play from five time Tony nominated Michael John LaChiusa and directed by Kirsten Sanderson. Opens April 21 at the Blank Theatre in Hollywood. More info here. 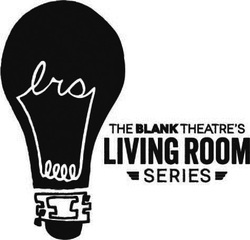 Spark off Rose is an incredible night of storytelling that centers around a different theme every month. 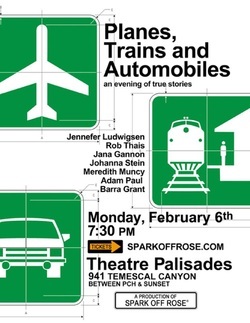 Jennefer will be reading a story she wrote for PLANES, TRAINS, AND AUTOMOBILES on Feb. 6 at Theatre Palisades. Jennefer is playing Maggie in this extraordinary, rarely produced play. 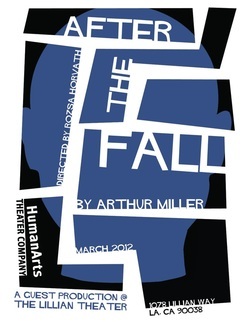 AFTER THE FALL will be running at the Lillian Theatre during the month of March. More info soon! Thank you CESD and Michael Sanford casting! Jennefer guest stars as negotiator Virginia Black. Jenn plays Jillian, an elementary school teacher who gets a call that her father has had a heart attack and passed away...or has he?? Airing in September on CMT. Uh-oh! Someone's getting her car towed on TruTV tomorrow! Don't worry...just acting! Will update as soon as I get the air date. Jenn is shooting another round of spots for Sleek Medspa! These commercials will be airing soon in New York, Florida and Boston. An Ideal Husband at Knightsbridge Theatre now running! 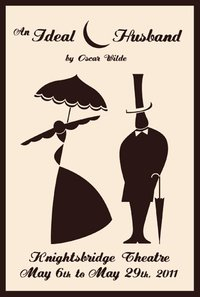 Jennefer plays Lady Gerturde Chiltern in this delightful Oscar Wilde favorite! Jennefer was honored to join an incredible cast featuring Ron Livingston, Eric Stonestreet, Adriane Lenox, M. Emmet Walsh, Amy Landecker, Raul Esparza, Sara Ramirez, Jim Parsons, and Holland Taylor for a reading of this beautful story from the mind of Ahmet Zappa, written/directed by the great Peter Hedges (Dan in Real Life, About a Boy, What's Eating Gilbert Grape). Jennefer just wrapped her first weekend of shooting this touching drama about how a son deals with the death of his mother. 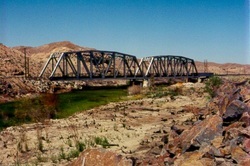 Filming will take place primarily in Barstow, CA under the direction of Joshua Von Badinski. Jennefer plays the deceased young mother. Jennefer plays the desperate housewife in this promo for the Swindleton podcast at Chapman University. 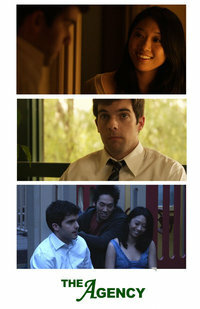 Jennefer just wrapped principle photography on MIRROR IMAGE, an indie feature directed and written by Chris W. Freeman. She co-stars as Rita Watts, ex-wife of the tormented leading man. Trailer coming soon! Jennefer recently finished re-shoots for her first feature film. 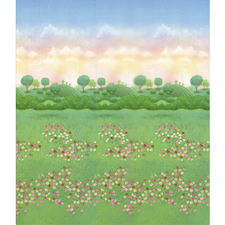 The movie will be distributed by Paramount Pictures in 2011. Details are under wraps until the studio decides how to market this sophomore effort from one of 2009's most exciting directors. Stay tuned!